Please read the following carefully. By continuing with sessions or bookings you accept and agree to adhere to this policy. REVISED MARCH 2019. 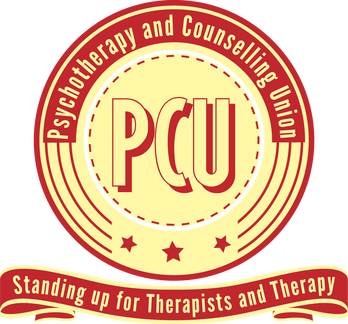 Please remember that professional therapists like myself have 3-4 years post graduate training and significant training, accreditation and re-accreditation costs, In my case (as of 2018), I have 25 years work experience, have strict supervision and continuous professional development requirements, insurance requirements, but have NO FUNDING from the state. We are not part of the “gig” economy, we are licensed healthcare professionals under the PSA AR scheme and professional registrations. Therefore some employment certainty is required because of the ongoing overheads required to maintain a healthcare service. Also for every clinical face to face hour, we have substantial preparation and after care time to complete unpaid. Once you have been allocated a regular time slot, then you are expected to attend that slot on a weekly or fortnightly basis as agreed and on time, and unless there are exceptional circumstances, you are expected to pay for that slot. If you need to cancel the slot for a session, 7 days notice is required. Entering therapy means you are entering a regular booking for which you are liable. 7 days warning of cancellation are required for cancellation, with no exceptions other than danger to life situations (e.g.red weather warnings, serious hospital admission illnesses, notifiable disease) and a few other situations listed in the Q&A section below. Previously we accepted 48 hours but office providers have extended their warning requirements to 48 hours, so we need the extra time to re-book and or cancel on receipt of notification. you can exit this agreement and therapy at any time. In practice we ask clients who attend weekly to let us know at the session before at the latest, if they need to miss their following session. Any additional warning is of course very welcome. This means that your vacated slot can either be cancelled so that we do not incur clinic room costs, or offered to another client. Please understand that if you do not provide the required warning, your lack of attendance may cost us not just lost income, but an actual bill to be paid such as a room hire charge and transport costs. Please ensure that if notifying in session, either confirm by email that day, or ensure the change is made to google calendar there and then in the session. Verbal mention without action or confirmation is not enough. Repeated cancellation, more than 3 weeks in a row, results in removal of the client booking and you are not guaranteed another session slot. If this occurs you need to self refer back to your GP. Private clients must settle missed sessions or sessions with before being offered another session. You accept that you will be subject to legal methods of debt retrieval if you fail to pay. We will only do this as a last resort (after negotiation and discussion). This is however not a bluff. Please understand that psychology service or not, you are entering into a real contract from a professional service. If you fail to honour session fees, or if it becomes clinically inappropriate for you to have further therapy, we will not be able to offer further sessions, and we will refer you back to your GP, or to another service if we are aware of one that suits. “Regular bookings” means that a slot is booked on a regular basis for you, same day, same time. This is for your convenience and is often at a prime time of demand. Although if a genuine issue arises we will of course accept 7 days warning, it is expected that this will be a rarity. Regular cancellation (averaging more than 5 times per year, or three sessions in a row, or failure to honour owed payments) will result in the regular slot being withdrawn and reallocated, and you will need to be more flexible about taking other remaining appointment slots. There may be none. Obviously if you tell us weeks in advance of an upcoming trip or holiday, this is fine. If on your regular day you would like a later or earlier time, or perhaps it might suit the therapist to have an earlier or later time, then this can be agreed without issue if it suits both parties. If either party, client or therapist is not willing to adjust the time, then the initially agreed time will be contractually binding. For example if the therapist asks you if you might attend an hour earlier, you may refuse. If you ask for a later slot and this is not possible, you are liable for the existing one. Unless you are having agreed maintenance “check up” sessions, it is expected that you will attend on an agreed regular basis. This may be weekly, fortnightly, sometimes twice per week. Some conditions such as anger management are suited to maintenance sessions earlier than others in the therapy process. If you do not maintain regular attendance, you will be discharged back to the care of your GP. We maintain some “floating slots” but these are for persons working shifts or working away (Oil rigs, Armed Forces etc) and are limited. This is because without regular attendance it is not clinically appropriate to offer support, knowing that fragmented attendance will prevent effectiveness. Private clients will be required to pay the fee for the initial assessment session in advance via PayPal or BACS, and the fee will then be subject to this policy. If the practitioner has to cancel you will be refunded in full. If at any time the therapist fails to be present due to illness etc, obviously you will not be charged. You will also receive 7 days notice of any plans by the therapist to take a holiday or trip away. If you turn up late, please be aware, that if you have provided warning, we will tolerate 15 mins lateness. Otherwise after 10 mins your session is missed and is still chargeable. You must organise yourself to attend on time and treat your session with proper respect. Once these periods have passed, it is not possible for your therapist to provide the proper session, because of your lateness. Sessions are HEALTHCARE sessions and should be treated as such. YOU are entering into a legally binding contract to purchase a service according to the rules outlined. We have tried to make these fair. You are entering this with the declaration of having health issues, and therefore can not use those issues as any kind of excuse for breaking contract. If your health is too severe to attend sessions, you should not be booking them. Clients are expected to ensure they know the location, route and time needed to attend the scheduled appointment at least 7 days before their due session. If contacted at least the day before the due session, practitioners will provide the address and details again. It may not be possible to contact the practitioner on the same day as the appointment due to travel, appointments or other commitments and it is the responsibility of the client to know in advance. ( Non contractually binding hint: Information file 1 usually provides all the details you require via weblink. You may also have the information on your gcal invite). It is YOUR responsibility to check where you are going, how much it will cost, what you need to bring and how to get there on time. Do so at least 7 days before your appointment, giving the practitioner time to respond and clarify. EAP clients will lose an allocated session if 7 days warning is not provided. Any attempt to override this via the EAP will result in you being discharged back to the EAP waiting list. We sympathise that unexpected events like illness can sometimes mean being unable to give the required warning period, however we can not accept responsibility for such events on your behalf, or the resultant costs to us from your non attendance. Our policy ensures that we can maintain our fees at their existing levels for the benefit of all our clients. Although it is of course unpleasant to become ill and miss something you have paid for, this is not in any way the problem of the seller (us). Please remember that if you are running late you must contact us before the first 15 minutes of the session are complete, otherwise the session will be considered missed. Please ensure you contact us safely and legally, especially if driving. Q What if I come down with flu with less warning than the cancellation period? A Sorry but we are not responsible for this, you will be charged. Only exception is if you are admitted to hospital and are therefore seriously ill.
Q What if I am taken into hospital or have a serious illness with less warning than the cancellation period? A Clearly this means that your therapy will need to be suspended so no, you will not be charged. Q What if a loved one such as a family member or partner is rushed into hospital the night before or the same day as the session? A Under such extreme conditions we of course will waive the fee, but only for that session. You will be expected to organise attendance for your other sessions or suspend therapy. Q What if I come down with a disease (e.g. swine flu) where I am quarantined? A This is a “risk to life” situation and you will not be charged. Q I am feeling too anxious to attend my session? A Your attendance is to help with your mental health wellbeing and you may not use your mental health state as a reason for non attendance. If you are too anxious to attend sessions, you should not commence private talking therapy treatment and instead should attend NHS crisis care. A compromise that is available on some days is to call in by Skype. If there is a possibility that you may need to do this, discuss it at your initial assessment so that you can be offered sessions on a day that alternative skype sessions are possible. Q What if my child care lets me down at the last minute? A Sorry but we are not responsible for this, you will be charged. Q What if I work shifts, work away or travel on business? A This needs to be discussed at the initial assessment and a plan developed to enable a “work around”. A verbal agreement will be discussed and agreed where possible to accommodate you. You must however declare this at the initial assessment, or as soon as it becomes an issue (e.g. change of jobs). Q What if I really fancy a holiday away? A Holidays are therapeutic and all we ask is that you give the required warning period, and do not let repeated holidays interrupt regular attendance. Frequent unplanned trips away will result in you loosing your therapy slot. Less than the required warning means you will be charged. Q What if I get stranded somewhere away from home and can not attend in time? Q What if I become aware of a situation where I might not be able to attend, such as a operation at short notice, or some other vital situation looming in the near future? A If you make the therapist aware of such a circumstance, then this can be negotiated so that you are not charged. This is by verbal agreement with the therapist on a case by case basis. Examples often include visa issues for foreign students and operations for the client or a cared for person. Q What if a cared for person in my care becomes ill with less than the required warning period? Q I thought I had an appointment but you were not the / you were with someone else! A If your appointment is not reflected in the Google Cal system, and is not otherwise confirmed by private message (SMS / email) then you do not have an appointment. Do you have any sensible questions we should answer here? We strive to balance compassion with boundaries of responsibility and therefore we will consider cases on merit.